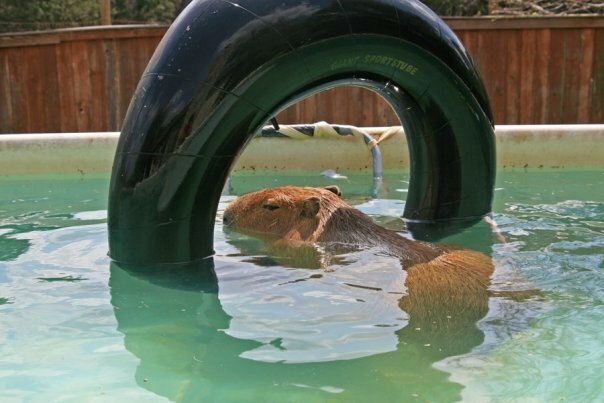 There are two parts to my name, we’ll tackle the last part first: Rous. 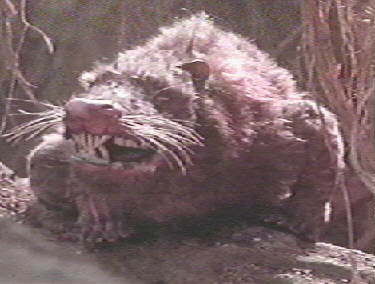 Rous (pronounced “rose” and I don’t want to hear any guff about it), comes from the book and movie, The Princess Bride. There is a picture of one from the movie at the top of this post. R.O.U.S.’s are one of the three terrors of the Fire Swamp: lightning sand, bursts of flame and ROUSs or Rodents Of Unusual Size. 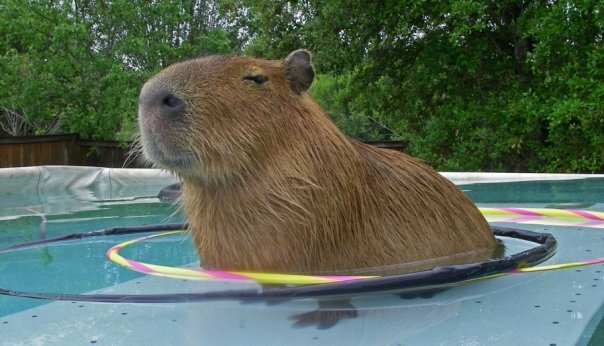 You can see that I don’t look much like a ROUS from the movie. I don’t have a big mouth full of pointy teeth. 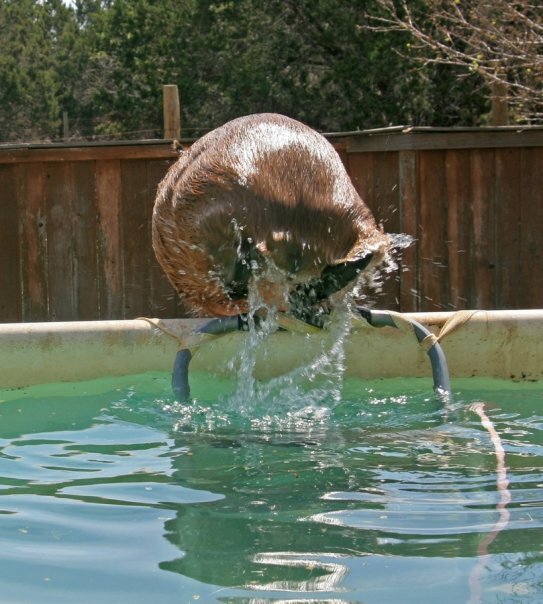 I have a small mouth full of giant, razor sharp, rodent teeth. And the ROUSs in the movie are not at all cute so they really don’t even resemble rodents in the most fundamental of ways. Nevertheless, I love that movie and am proud to be associated with it by name. The other part of my name, Caplin, has a more obscure origin. There are two stories that are both more-or-less true. I will tell them both. 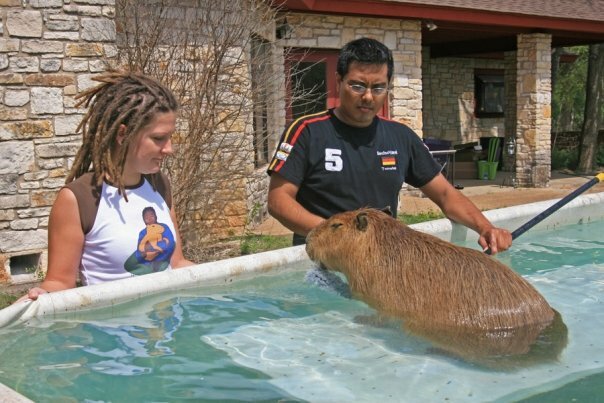 When my owner, Coral (her daughter), Carl (her son-in-law), Philip (her son) and Sheldon (her friend?) were on the long drive up to Nacodgoches, Texas to adopt me, they tried to come up with a name they would all like. 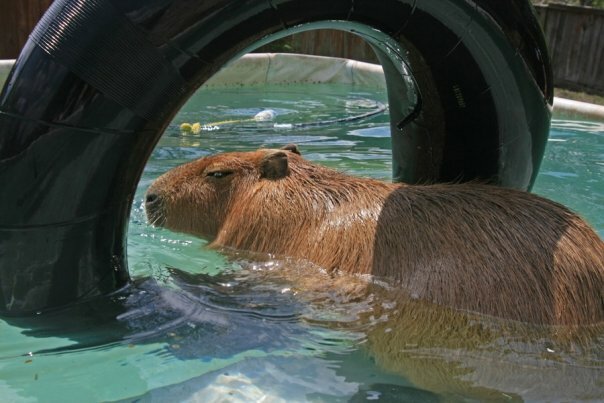 One of the things they were afraid of is that they would just end up calling me Capy, short for capybara. 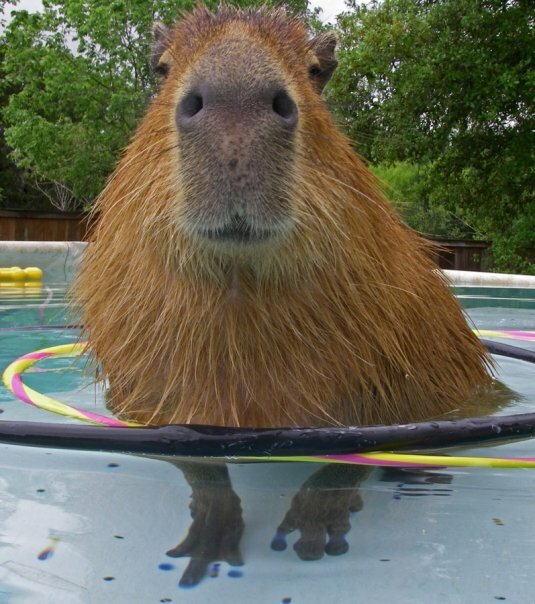 To circumvent that, they gave me a name whose natural nickname would be Capy. 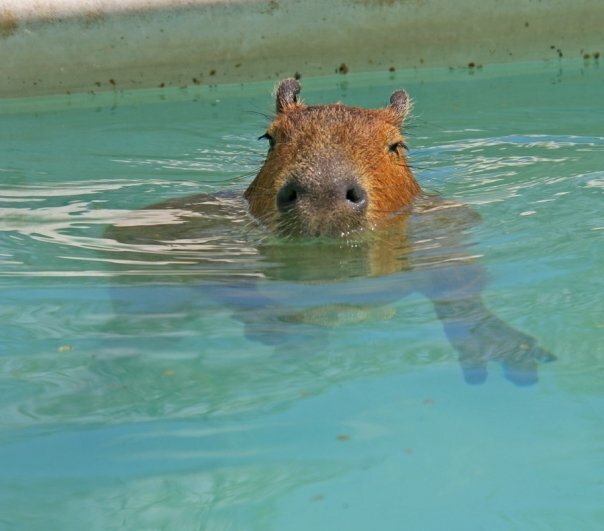 They claimed that when people asked if Capy was short for capybara they could indignantly say, “No! It is short for Caplin,” and act all superior. The other story is that a caplin is a type of fish and it makes sense for an aquatic animal such as myself to be named after a fish. 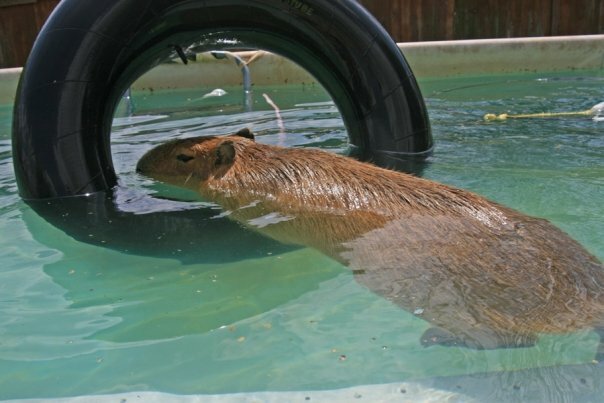 In addition, the infallible pope of the Catholic religion has declared capybaras to be fish and so, even though we have all of the characteristics of mammals, it made some sense to name me after a fish. Hope that helps clear things up. Let me know how you like my name and whether you think my owner is a genius or not. 5 comments to What is in a Name? Why is Sheldon being questioned as a friend? Are you unsure if he’s really your friend?